Xi&apos;an is the oldest of China&apos;s Four Great Ancient Capitals, serving as the capital city of 13 dynasties spreading intermittently across a 1,100-year period from 221 BC. It is often called the birthplace of Chinese civilization. Xi&apos;an was the eastern terminus of the Silk Road, and played a very important part in Chinese history. 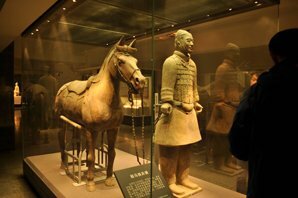 Xi&apos;an is characterized by and is proud of its ancient heritage, such as the world-renowned Terracotta Army. A visit to Xi&apos;an is often at the top of a traveler&apos;s to-do list. See Xi&apos;an Facts for more background information. Xi&apos;an is the capital of Shaanxi Province, located in North Central China. It is about 2 hours by air from Beijing and 2½ hours from Shanghai. Xi&apos;an is one of the four Chinese capitals of the world&apos;s ancient civilizations, with a history of over 3,000 years. Read more about the History of Xi&apos;an. 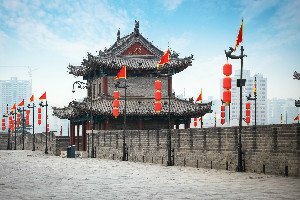 Xi&apos;an boasts numerous historical sites and cultural relics, including 72 imperial tombs and over 700 historical sites from ancient pagodas to the city wall. 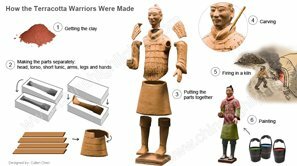 Six of them were inscribed on the World Heritage List, including the Terracotta Warriors and Horses and Big Wild Goose Pagoda. As famous as its cultural heritage, the variety of local snacks is another feature of Xi&apos;an. It is said that there are over 1,000 kinds of snacks in Xi’an. The 72-hour visa-free transit policy makes Xi&apos;an a more convenient destination. Xi&apos;an is a melting pot of cultures and religions. It offers countless things to do and see. 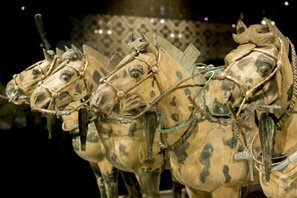 Witness the most significant archeological excavation of the 20th century — the Terracotta Warriors and Horses, accompanied by an expert guide. Stroll or cycle on the ancient City Wall for a nice view of Xi&apos;an city. Have a pleasant stroll to taste local snacks and buy souvenirs at the Muslim Quarter. 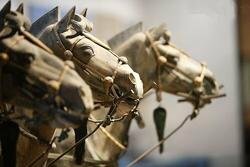 Pay a visit to Shaanxi History Museum to discover the culture and history of China. The best time to visit Xi&apos;an is in spring and autumn when the weather is cool but not too cold. The rainy season occurs from July to September, although there isn&apos;t much rain. Try to avoid the Labor Day holiday (May 1–3) and the National Day holiday (October 1–7) when all tourist sites are crowded with Chinese people. Read more about Xi&apos;an Weather. 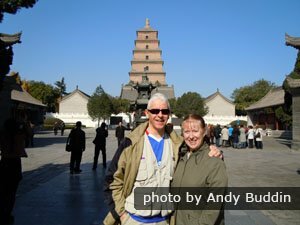 Tour Xi&apos;an with China Highlights. Xi&apos;an, one of the most popular tourist destinations in China, attracts visitors with its rich historical and cultural heritage. It is always put into the itinerary of first-time visitors to China. Not interested in the above tours? 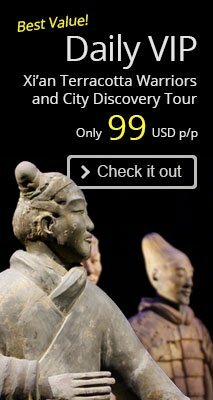 Just tell us your interests and requirements, and we will tailor-make your Xi&apos;an tour.